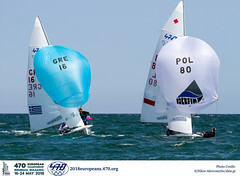 Russia's Pavel Sozykin/Denis Gribanov continued their dominant performance throughout the week of Russian Nationals in the Olympic classes held in Sochi waters and won the gold medal ahead of 27 470 class teams. The numbers speak for themselves: Pavel and Denis finished with 12 points, 38 points ahead of the runner-up men’s team Timofei Grigorin-Ryabov/Alexey Safonov (50 points). Bronze medal for Christian Chech and Viktor Tarasov (69 points). Women’s gold was awarded to Alisa Kirilyuk/Angelica Chernyakhovskaya. 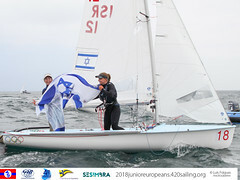 The crew of Olga Shoykhet / Lyudmila Timoshina left with silver medal after a very interesting medal race: they finished fifth, and for quite some time they were leading the fleet. Bronze medal to Anna Ilyukhina/Anastasia Pustynnikova. 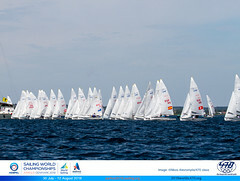 The event was organised by ФГБУ "Юг Спорт" and Russian Sailing Federation.